Johan is a creative director who has a strong entrepreneurial focus exploring future business opportunities at the intersection of creativity, design, and technology. His career spans more than 25 years working in advertising, design, and communications. Johan studied Art History at the Hong Kong University and Graphic Design at the Rhode Island School of Design (CE), and in 2011 strategic planning at Berghs School of Communication. Johan has worked as an art director at communication agencies including Euro RSCG, Publicis and Scholz & Friends. Before joining Great Works as a Creative Director in 2014, he was a Partner and Creative Director at RBK Communication in Stockholm between 2010-2014 and ranked at no. 10 of the most awarded Creative Directors in the Nordic countries. A big shift in Johan’s career came in 2011 when he began studying at The Berlin School of Creative Leadership EMBA program. As a result, Johan focused more on digital transformation and business development, working for clients such as SAS Scandinavian Airlines, Ålandsbanken, IM Swedish Development Partner, and Danske Bank among others. His work at Great Works has helped them reach an 8th place of the most creative agencies in Sweden 2017. During a five-year span, Johan has been deeply involved in building three innovation projects from the ground up: The Natalia Project, Åland Index, and The Humanium Metal Initiative. The projects have received special industry recognition, with the latter two winning Cannes Lions Grand Prix 2017 in the Cyber and Applied Innovation categories. Johan has been a jury member for Eurobest, New York Festivals, Cannes Lions Asia, Cresta, and Guldägget. He has also been a speaker at Eurobest and Cannes Lions Asia. In 2018, Johan was the first swede to be selected as a member of the Cannes Lions innovation jury. Mathias Wikström is a Sweden based renowned international creative strategist. He has spearheaded globally awarded forefront projects such as Natalia Project for Civil Rights Defenders and Aland Index Initiative with The Baltic Sea Project for the Bank of Aland (2017 Grand Prix Cyber at Cannes Lions) amongst others. 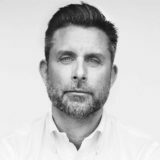 Prior to founding RBK Communication he was the Creative Director at Havas/Euro RSCG Sweden and CEO at independent creative agency A3. He has received an EMBA with honors at Stockholm School of Economics with focus on Leading Innovation, been educated at Berlin School of Creative Leadership and has won several industry awards at Cannes Lions, Clio, D&AD, Epica and Eurobest amongst others. 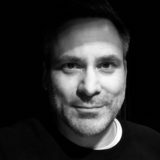 In addition Mathias has served on juries for several award shows and is a high scoring key note speaker at industry summits in Europe, Asia and Latin America. He also serves as the personal advisor to a select few CEOs in sectors of Finance, FMGs and Digital. Sick of power point talk and corporate lingo that is all words and no progress he enjoys working with likeminded in an international setting where advertising, innovation and sustainability intersect. His firm belief is that in an ever changing landscape its not what’s a head of you that matter, it’s who is by your side. More than ever clients need strong strategic direction, creative solutions to propel them forward and people with the stamina to do it. Creatives need to provide frontier solutions and address challenges head on. Not to circle, but to solve. Creativity is a super power and at the end of the day it’s not about the trophies on your shelf. It’s about what you chose to do and as an industry we need to step up to that responsibility, just look out the window. Learn direct from behind the scene experience how successful communication has created valuable change and profit through tangible models and precise insights. We tap in to how creativity and innovation creates not only campaigns but competitive edge in business models and product development. Can Consumerism be a force for good? Hear what’s new from the Innovation jury at Cannes Lions and get an exclusive preview of the coming project based on the “how to” process and findings in Grand Prix awarded Humanium Metal initiative and the Aland Index. 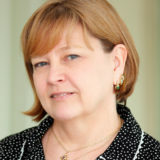 Mary Lee Copeland is a storytelling expert and international advertising maven. 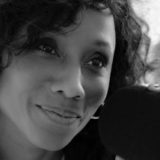 Throughout Scandinavia and Europe, she is known for producing award-winning commercials using untapped or unknown talents. For her creative contributions, she has won the first Swedish Television and Film Producers Royalty Award and has been listed as one of the Most Powerful Black Women in Europe. Before coming to Sweden, while Executive Creative Assistant for the president of Motown Productions, she developed and wrote film concepts for television and cinema. In 2013, she received the honor of Living Legacy from the state of Virginia in the United States. During her career, Mary Lee has represented Sweden in award shows including the Film Jury for The Canneslions Festival, Epica Awards, Kinsale Advertising Awards, to name a few. She was Head of the Jury for Top of The World Awards in Finland. Mary Lee also supports new creative talents as a mentor and educator. She has developed curricula and training programs for advertising educational program such as Canneslions Schools and Academies, Berghs School of Communications, Hyper Island, Stockholm University, Helsinki University, among others. She was the Storytelling mentor for young entrepreneurs attending the highly successful DailyCandy Academy in New York before their CNBC acquisition. And, recently during the Spring 2018, she held an online Storytelling course for Hyper Island’s Motion Creative Education. Mary Lee is very excited to join ACNE Creative Collective, as a Creative, in their Stockholm Headquarter September 2018. 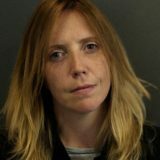 ACNE the creative collective hires Mary Lee Copeland from The (next level) Storytelling Academy. ACNE works with global and local marketing that integrates strategy, creation and production under one roof. In addition to Sweden, ACNE has offices in Germany, UK, France and The Netherlands. Recently, they ranked in the top three creative agencies in Sweden with outstanding work for clients such as IKEA, Telenor, Instagram, Louis Vuitton, among others. Storytelling Expert Mary Lee Copeland will join the ACNE in their headquarters in Stockholm. Before founding The (next level) Storytelling Academy and Bongo Advertising Agency in Finland, Mary Lee as an agency producer produced award-winning commercials with top international agencies with ACNE film. ”We’re very excited to have Mary Lee join our ACNE family. Since she worked with us years ago, we look forward to creating stories together again,” Ori Mace Managing Director. Mary Lee is also an educator and established, internationally-known keynote speaker, seminar presenter and workshop facilitator on the subject of storytelling. This year, in Cannes Lions Festival of Creativity 2018, she presented in the Cannes Lions Schools, Creative and Roger Hatchuel Academies along with ”Grit and Grace” Creative Women Can Save The World Seminar. The Storytellers; Meaning Makers Make It! Epic, iconic, impactful are the reactions to brand storytelling that we so desperately want. We want to make people care, to build healthy relationships with clients, and most importantly, move away from addiction, destructive encouragements. Without meaning life can feel like a swamp of social media manipulations, falsehoods and pointless activities. The true storyteller makes meaning. Meaning helps us survive. This is the human connection of storytelling. Creating the meaning for the stories help brands survive the addictive swamp of dopamine “likes,” “bells” and “whistles” of social media and such. Meaning makers will help brand make it! In Prague, October 11th, Mary Lee will present the Scandinavian approach to storytelling and discuss making epic, iconic and impactful meaning, as she sees it. Currently, Candace is the Director of Social Media for Hill+Knowlton Strategies. She runs the Technology Speculators program for H+K and was honoured to be named as an Innovator 25 by the Holmes Report. Candace is a member of the WPP Digital Advisory Board for Europe, and a founding member of the Advisory Board for the WPP Stella women’s leadership group. 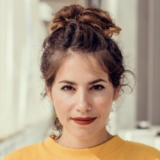 She is on the Advisory Board for VidCon London 2019, and for Creative Equals, the organization working to achieve gender equality and diversity in the creative industries. Candace is a blogger, a frequent speaker at industry conferences and Ignite shows and a licensed Mudlark. She was a member of the PR Lions jury in 2018 and has been on the jury for the Cannes Lions Young Lions program for the last five years. Prior to H+K, Candace was a Creative Director at Ogilvy Interactive in London and SVP/Creative Director at Digitas in America. Gerard helps clients innovate and grow by anticipating the changing behaviours of people, technology, and culture. Crichlow leads an integrated team of strategists, content makers and producers to create attention-grabbing work on behalf of some of the world’s most inﬂuential brands including: Guinness, Mercedes, PepsiCo and others. Prior to AMV BBDO London, Crichlow led the social media team at Droga5 New York, where he was responsible for crafting campaigns on behalf of: Diet Coke, Newcastle Brown Ale, Honey Maid Snacks, Under Armour and others. 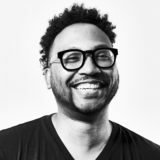 Prior to joining Droga5, Crichlow worked was as a strategist at R/GA, where he developed mobile and social strategies for Nike, MasterCard, Google, McCormick, and Capital One amongst others. In the process, he’s picked up several accolades along the way and drank enough coﬀee to be awake for several years. Having worked for Y&R, DDB and Fred&Farid, Lennie joined entertainment agency Dare.Win in 2015 as Managing Director. At Dare.Win Lennie was in charge of different projects such as Netflix, Ubisoft, Blizzard, Paramount, Fox, Universal, Arte, Warner and Red Bull. Lennie joined BETC in 2017 to help clients deploy creative entertainment strategies and different types of branded content, brand entertainment, storytelling, product placement, brand endorsement, immersive experience, emotional activation, influencer partnerships and more. Lennie was this year Cannes lions Juror in Social & influencer category. How Brands manage to jump into the cultural conversation, whiles consumers are (re)writing the rules. With audiences in control of the pop-culture storytelling today, it’s more important than ever for brands to look for the cultural signals that people are sending and to incorporate those into creative strategy and marketing efforts. we will present learnings & inspiring creative works from the 4 corners of the world. Fadi is a true ecommerce evangelist with a strong entrepreneurial background, skilled in growing and developing businesses and has over 17 years of experience delivering ecommerce solutions to brands and retailers around the world. Sitting at the intersection of brand, content and commerce, he understands how and why people shop online. As Global Chief Digital & Commerce Officer, Fadi leads Geometry’s growing ecommerce division, overseeing key partnerships and clients including Amazon, GSK, Unilever, Mondelez, Coca-Cola, Diageo, Heineken and Nature’s Bounty. 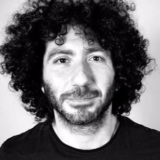 Fadi joined Geometry in 2016 coming from award-winning global e-commerce agency BORN where he was Co-founder, Chief Creative and Commerce Officer. Under his leadership, the global commerce division expanded its footprint across North America, Europe and APAC. Fadi has worked with iconic brands and businesses including Red Bull, DKNY, M&S, Unilever, TATA Group, Tesco and Tag Heuer. Ecommerce is a multi-faceted beast. It touches everything and requires every skill to nail it. It’s the biggest change in agencies since digital arrived at the scene. And to stay relevant- everyone needs to understand it and know how to win at it. My presentation will help guide you through the ins and outs of ecommerce as well as showing you examples of Creative & ecommerce in action across a number of verticals. Karen started her career as a Bioinformatician at a UK Biotech company which built algorithms to analyse the human genome. She then moved into communications/advertising as a strategist and spent 8 years at Ogilvy, before joining McCann in 2012. She has worked on a broad range of clients and brands, including Coca-Cola, MasterCard, Xbox, Pfizer & Alzheimer’s Society. Let’s have a deep dive at the campaign that increased sales by 350% and discuss our learnings and reccomendations for advertisers and agencies, what to do/not to do in order to be able create campaigns with such potential. At a time when gamers were concerned about the cost of gaming, Xbox had to convince them to buy controllers that cost 50% more than normal ones. Furthermore, Xbox was not the first brand to allow its audience to customize a product, so that alone was not enough to overcome the price barrier. We reimagined the shopping journey, letting gamers claim ownership of their design. The campaign won Grand Prix in Creative eCommerce, three Gold lions (in Direct – Co-creation & User Generated Content, Media – Use of Digital Platforms, and Brand Experience And Activation – Retail Promotions & Competitions), two Silver lions (in Brand Experience And Activation – Launch / Re-launch and Creative Ecommerce – Retail & Customer Promotions), one Bronze lion (in Brand Experience And Activation – Retail), and five shortlists.